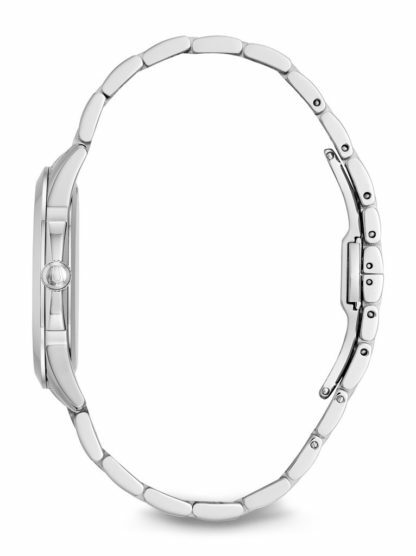 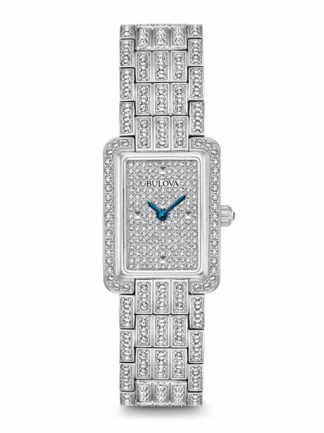 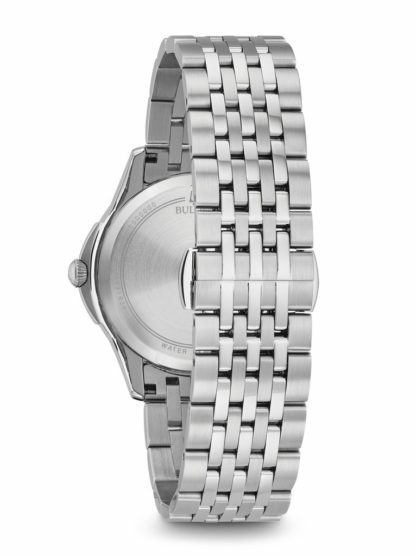 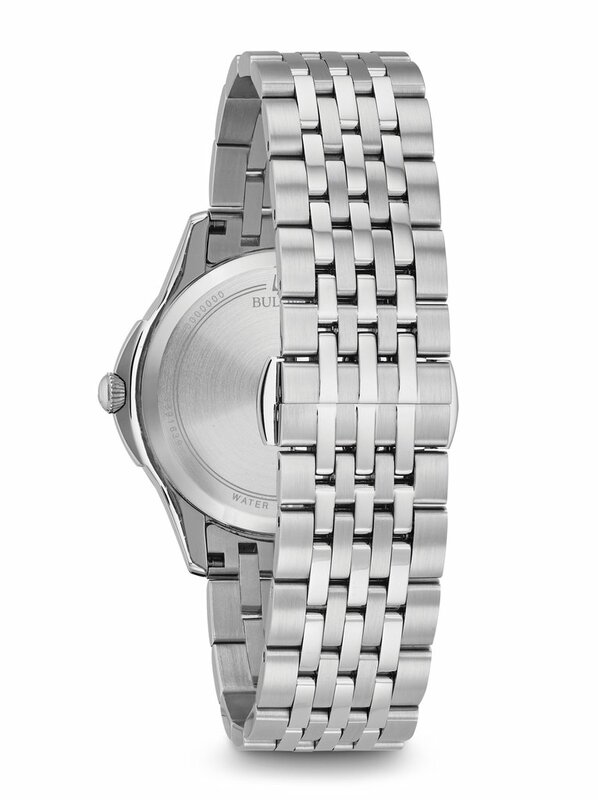 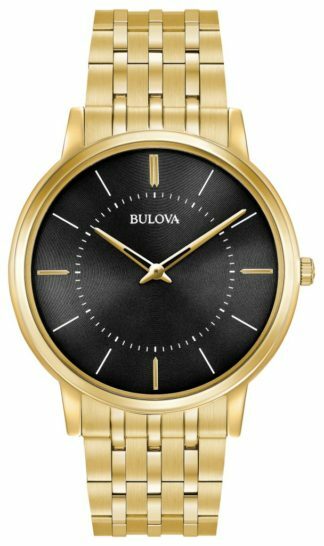 Bulova Women's Diamond Watch 96P174 from the Ladies’ Diamonds Collection. 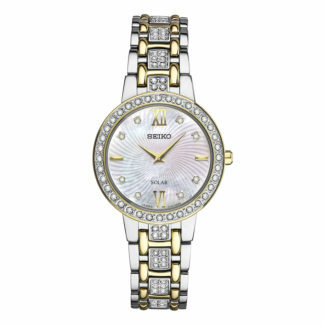 Stainless steel case with 12 diamonds individually hand set on white mother-of-pearl dial, flat mineral glass, stainless steel bracelet with deployant closure. Bulova Women’s Diamond Watch 96P174 from the Ladies’ Diamonds Collection. 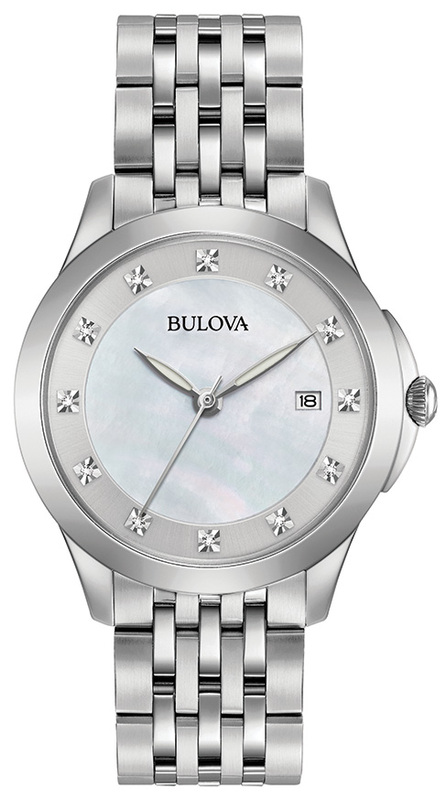 Stainless steel case with 12 diamonds individually hand set on white mother-of-pearl dial, flat mineral glass, stainless steel bracelet with deployant closure.